For many years, factory ammunition wasn't that good and to get good ammo, you had to start handloading. Today, some people still say factory ammo isn't that great and handload to obtain the ballistic performance they want. 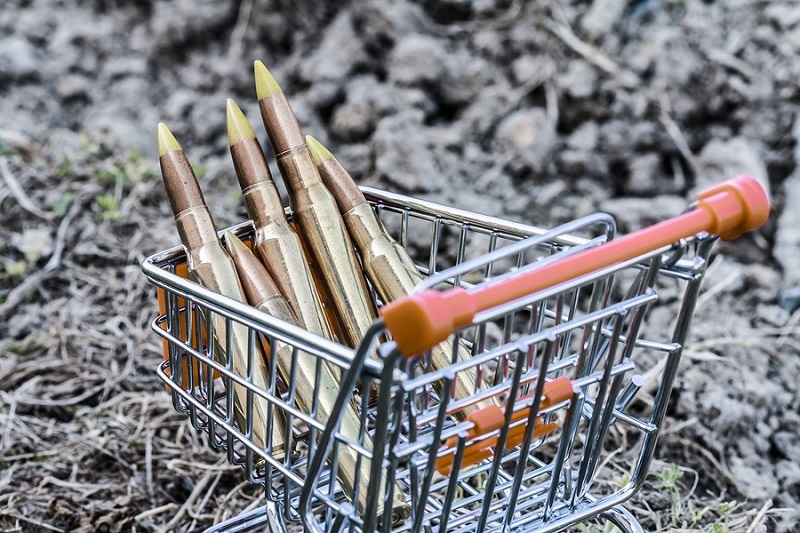 Reloading can also be a good way to save money, as the cost of consumables is relatively low. How do you get started? Let's get to it. 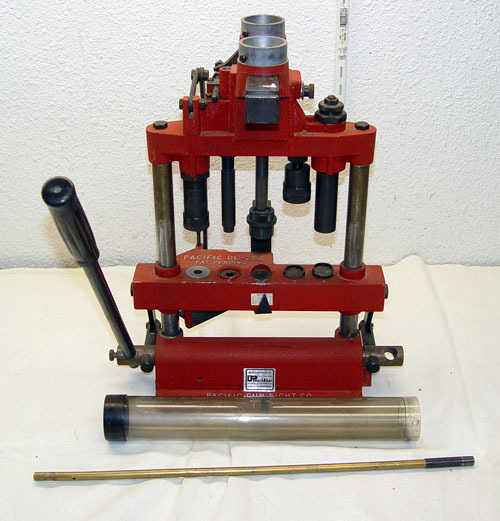 The first step is that you'll need handloading equipment. The amount you'll spend is up to you; certain items are arguably unnecessary and others aren't. You can get started for about $50 or up to a few thousands dollars, depending on the equipment you buy. For instance, you can get one of the Lee Loader kits, which are very simple. They contain a powder scoop, a decapping tool, a die, a seater, and a few other bits for handloading or reloading single rounds at a time. They go for about $40 or so and are a basic way to handload. However, they are very slow; it takes a minute or two per round, so you're looking at a good hour for a box of ammo. Larger kits, however, can be bought for a few hundred dollars that are a bit more involved, which are how most people get started. At minimum, you'll need a press of some sort to seat the bullet in the case, and the correct die for the caliber you'll be loading. Single stage presses do bullet at a time; turret presses press one bullet then rotate to the next one, so you can do a few at a time. The latter churns out more bullets in a sitting, but requires you to purchase multiple dies, which can be expensive. You will need a deprimer, to knock the spent primer out of the case. There are deprimer punches that do it or depriming dies; it's up to you which you want. You'll need supplies for case prep and case cleaning. Residue must be washed away and the case also must be lubricated prior to priming and adding the powder charge. There are hand tools that do it, or you can go all the way to tumblers - which put cases in a mildly abrasive media that polishes the brass - or ultrasonic cleaners. Case trimming may not be necessary, but you'll want to ensure that all your cases are of the appropriate length. The sort of trimming involved depends; brass for common calibers may just need a slight shave...but wildcat rifle rounds can be a bit more involved. Therefore, you'll need case trimming equipment as well. Like everything else, there are hand tools for doing this and mechanical tools. You'll definitely need some equipment for measurement. You DEFINITELY need a set of calipers. As to scales for powder,get a reloading scale. However, powder measures are also available if desired. These units, usually mounted to a bench, have a hopper that you fill with the gunpowder of your choice. You set the amount you want it to dispense, then turn the crank to release. There are also a number of hand tools. A powder scoop - if not a powder scoop set with multiple sizes of scoop - is necessary. You'll also want a small mallet, and a set of case prep hand tools to clean up and size brass is a good idea. Again, it's kind of all up to you. You can buy a small kit - like a Lee Loader - for not too much, or buy large kits for a whole heck of a lot more. It sort of depends on what you're trying to get out of it. You need a reloading manual. There are plenty of them out there that are good; unless or until you've gained sufficient experience do not go wildcatting or else the venture may end in tragedy. A reloading manual has been prepared by professionals who know their business. These are formulas and recipes that tell you what size and construction of bullet, over what charges of what powders, will give you what velocity and muzzle energies. If handloading to get a specific bullet to a specific velocity and so on, the reloading manual is your bible. Follow it closely. You'll also want to brush up on what sort of chamber pressures your gun can take. While some 9mm pistols can handle 9mm +P+, some just aren't going to tolerate too much of it even with a heavier recoil spring. Make sure you make appropriate loads for your gun. You'll also want a notebook. Keep track of everything you can regarding your reloads. It will help you get consistent quality. Next up is handloading and/or reloading consumables. Besides the tools, you need the various parts of a bullet, as well as cleaning supplies and lubricants for prepping cases. The latter two items are explanatory enough. As to bullet components, there are four. Namely, you have the case, the primer, the powder and the bullet itself. Cases can be either new brass, reconditioned brass (used, then cleaned up for reloading) or you can just pick up empties. The application you have in mind will determine best use; if you're just making hardball for range sessions then used brass is going to be fine so long as you treat it before loading. If you're looking to load match-grade ammunition, then you want to spend for the new stuff. Primers...are just primers. Pick the right one for your caliber and away you go. Projectiles and powders are where the fun starts. Your reloading manual will tell you the various amounts of powders to produce the desired velocities with bullets of various make, design and grain weight. You, therefore, get to choose what sort of bullets you'll be loading. Want a .45 ACP 185-grain JHP that screams along at 1,000 fps? Find the right load data, buy the right parts. Sick of nobody factory-loading a 175-grain Nosler Partition in 7mm Remington Magnum? You get to do it! And so on and so forth. The idea is that you'll have to stock up on the projectiles you want to shoot and the powder (or powders) you'll need to do it with. First, however, you need to figure out what sort of loads you want. Handloading or reloading in and of itself is very safe...but what comes after it is another matter. Handloading safety is paramount. 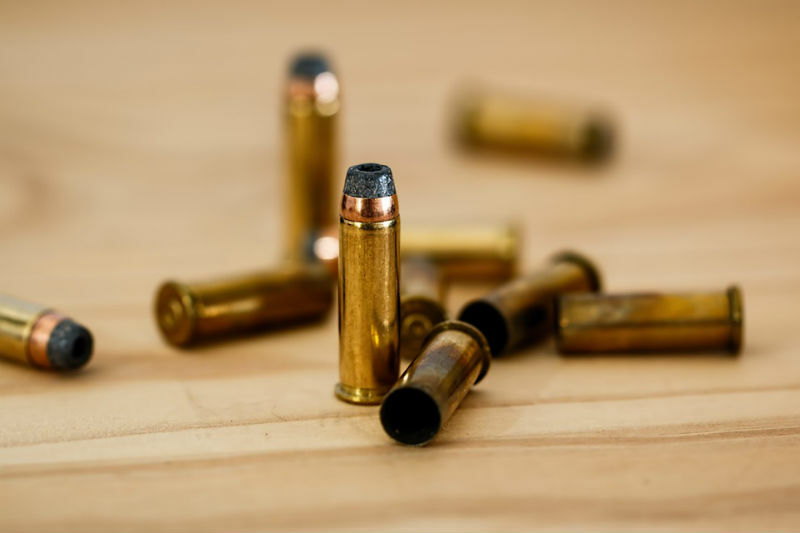 One of the most common causes of catastrophic failure with a handgun is poorly reloaded ammunition, so there are a number of guidelines which must needs be followed. All propellants and primers should be stored in cool, dry places where they are unlikely to be disturbed. You must never smoke in the area where you do your handloading or reloading or have an open flame of any sort. Obviously, small children must be kept well away from reloading supplies and equipment. Lead exposure is also a danger when handling, shooting, cleaning or otherwise with firearms or ammunition. However, the fix is to wash your hands early and often, so be sure that you do. Additionally, don't grab a sandwich or otherwise eat around your reloading equipment, because that gets lead into your digestive system. Make sure to wear a mask around your tumbler, if you use one, as you don't want to breathe lead particles. Lead in the lungs or digestive tract will not end well for you. Be sure to weigh your rounds before, during and after you finish making them. Record the weight of a typical cartridge before you start reloading, such as the hardball round you're making more of, the semi-wadcutter you carry in your magnum revolver, or the JHP rounds you put in your carry gun. You need to know exactly how much the case, the bullet, the primer and the propellant weigh, as well as what the cartridge weighs at every step of the process. 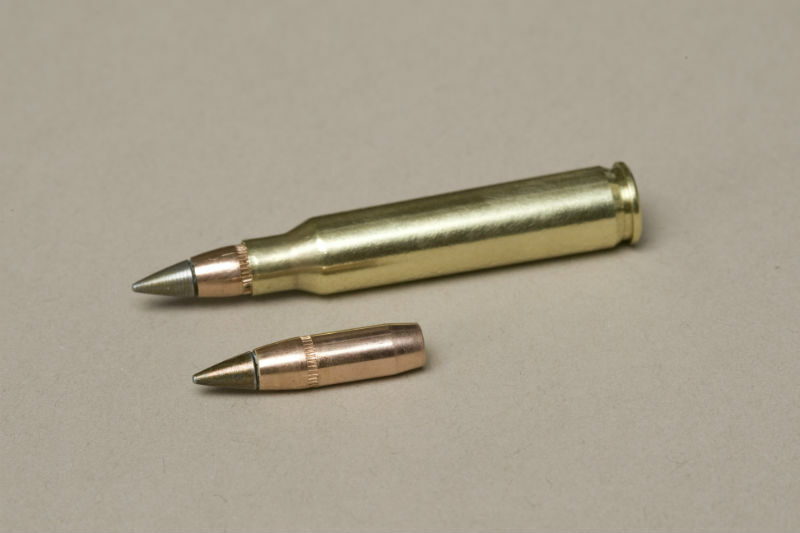 If your reloaded or handloaded bullet weighs significantly more or less at any point in the process, there could be a serious problem. Therefore, weigh every bullet after making it. Variations in weight tell you that a bullet is overcharged or undercharged, both of which can produce bad results. An overcharge can blast your gun apart and cripple or kill you. A squib will lodge a bullet in your barrel. In either case, it's bad news. If you aren't sure of a powder, don't use it. If you aren't sure of a primer, don't use it. Take meticulous notes when handloading and mark lots of bullets. You need to know what they are when you take them out to shoot. If you find a particular load works really well in your gun, make sure you know how you made it. Recipes, in bullets as well as food, are how you dial in the good stuff. Try to only handle one round at a time. Focus on what you're doing. Like anything else, start slow and perfect and everything else will come. Some people say to never trust a reload. Others insist that quality depends on the components used, as well as the skill and assiduity of the loader. It isn't rocket science; you're just following a recipe to make something. However, if you're careful and if you follow directions carefully, you should be able to make hardball, hollowpoint and other ammunition as well as the factory for a fraction of the price. 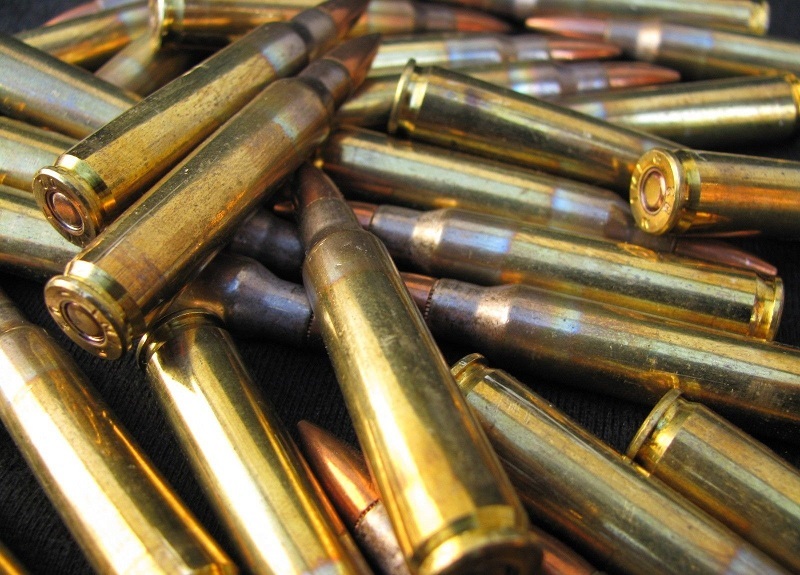 Ammo Shelf Life: How Long Are Bullets Good For?